What do you like best about the horse business? How do you train a horse? 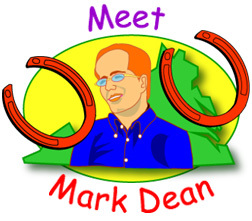 Let's talk to Mark Dean, a Thoroughbred horse owner and breeder. Mark trains racehorses at his farm in Lincoln, Virginia. He's showing us around the farm and has much to tell us. Select a question to see and hear his answer.